If you are new to Twitter, you have probably noticed that on Friday your contacts using the tag #FF, adding the name of a user. It can be confusing at first, but it is a custom called Follow Friday. What is? 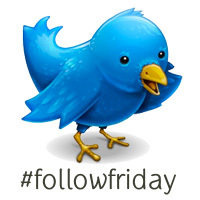 Basically, the Follow Friday is a “tradition” among twitterers, which make use of recommending to people that others should follow for different reasons, being an excellent way to find interesting people within the network of microblogging. How to participate? Anyone can participate in the Follow Friday. Just type the tag #FF, followed by or user name you care to recommend. It would be nice, also add the reason why others should follow. Join the fever of Follow Friday, while you enter the fun culture that offers Twitter, a really addictive space and, above all, interesting.